By the time you read this we will be into the Sunday Spring Series for dinghies which started on 3rd March. There are two races in the morning with the first start at 1030 hrs. and two races in the afternoon starting at 1330 hrs. There are three fleets as usual - Medium Handicap, Asymmetric and Slow Handicap. PLEASE NOTE that there are have been some changes made to the fleet structures; the main change is that the 2000s are now in the Slow Handicap Fleet for both Sunday racing and Wednesday Evenings. The fleet lists are displayed on the noticeboard in the foyer and can also be found on the website under Racing -> Club Racing Documents -> Current Racing Fleets and Handicaps. Please have a look and make sure you know which fleet you are racing with. Wednesday Evening racing starts on 3rd April. The start time for the first two Wednesdays is 1830 hrs, but from 17th April it will be 1900 hrs. The Wednesday afternoon series is already underway with racing starting at 1500 hrs, but from April 3rd the start time is 1600 hrs. The Frostbite Series finished on 24th February. Congratulations to Ian Tinker on winning the series in his K1, repeating last year's success ! 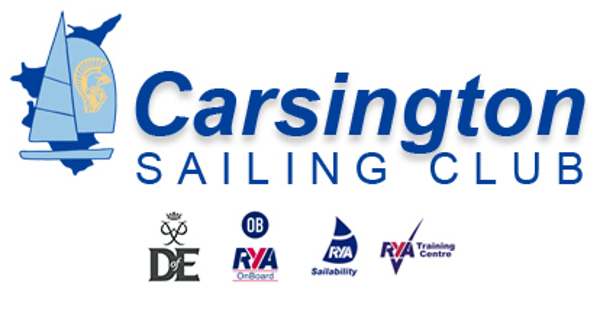 Please also note that the RYA have issued the updated PYs for 2019 and these will be reflected in racing results from the Spring Series onwards. The Cruiser Frostbite Series concludes on 16th March and the Spring Series starts on 23rd March.